Pleasant and soothing property located in Village Saisari offering peaceful tents for the guests. Apple Avenue Camp is situated in Village Saisari, P.O Baldyan, Shimla. The property has beautiful tents. The tents are spacious with all necessary amenities for a comfortable stay. They have all necessary furniture and offer enjoyable, relaxed and satisfied stay in the property. The property has spacious and well furnished tents. The tents have well equipped bathrooms. The property has power backup facility, large parking area for vehicles for the comfortable and satisfied stay of the visitors. They also have an in-house restaurant for the visitors. 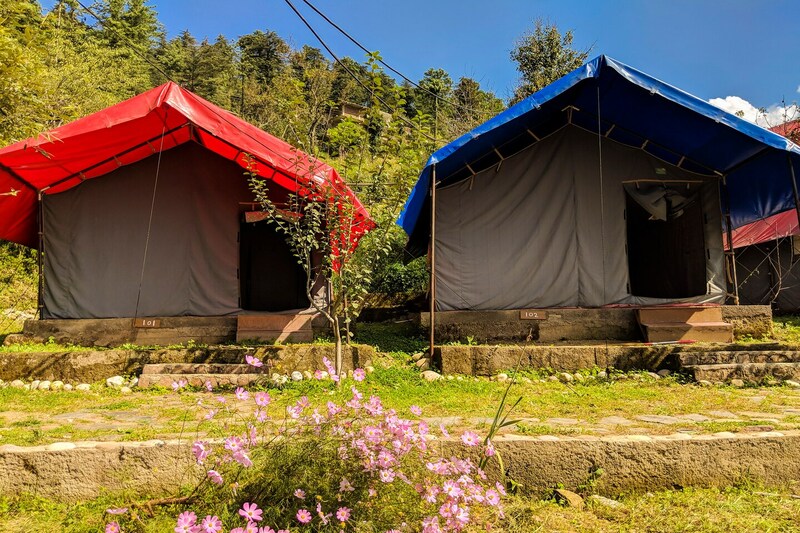 The property is nearby famous attractions of Shimla like Shailey Peak, Watch Tower, Green Valley, Chadwick Falls, Pahadiya Adventure and Trans Himalayan. The guests can have food from various restaurants like Woodstock Restaurant, The Foodies, Simran Bhojnalaya, Red Chilli Sweets and restaurant and Sharma restaurant.